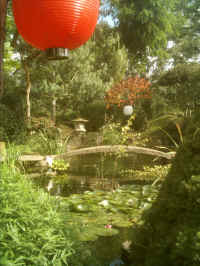 Relaxation and meditation Centre & Japanese Garden to feature in BBC Gardeners World. 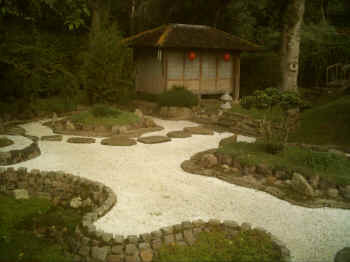 A visit to Maitreya's Japanese Garden, meditation and relaxation centre in Nottinghamshire is a unique experience. Maitreya was born and brought up in Handa, Japan near Nagoya. He grew up with a desperate search for truth and tranquility and found it in Buddism. He went on to university to complete an MA degree in Buddhist Theology and lived the life of a Zen monk. Following this he traveled, teaching meditation before finally settling in Nottinghamshire, setting up the Pure Land centre. For visitors, the Japanese Garden provides a peaceful, beautiful area in which to enjoy the unique landscaping. Quite different from any other garden you are likely to have experienced. Streams with traditional Japanese bridges, ponds of carp, bamboo, mosses, evergreens, maple, cherry, stone lanterns and pagoda. Not to be missed. The garden is the ideal backdrop for meditation and relaxation. Open to visitors March to October. Relaxation & meditation tuition is available by prior agreement. Other activities available are group meditation and relaxation meetings, lantern lit evening gardens and Japanese Tea Ceremony. 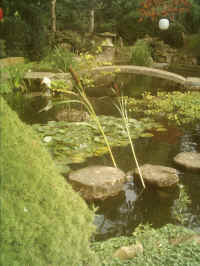 In November (2005) the garden is to feature in BBC's Gardeners World. BBC Gardeners World. 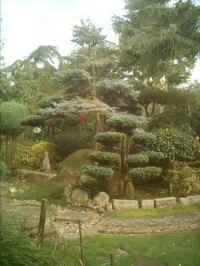 Japanese Garden. meditation. relaxation.